You can view more images from Amanda and Danilo's session on our blog - Amanda & Danilo: Engagement Photos at The Jefferson with the Blossoms! We wrapped up a beautiful Sunday evening with Amanda and Danilo capturing some great engagement photos with around the Jefferson Memorial and the Cherry Blossoms. These two were an absolute blast, what we never figured out prior to our session with them was just how much fun Danilo was going to be… we laughed so much during their session that all day today my abs have been hurting! 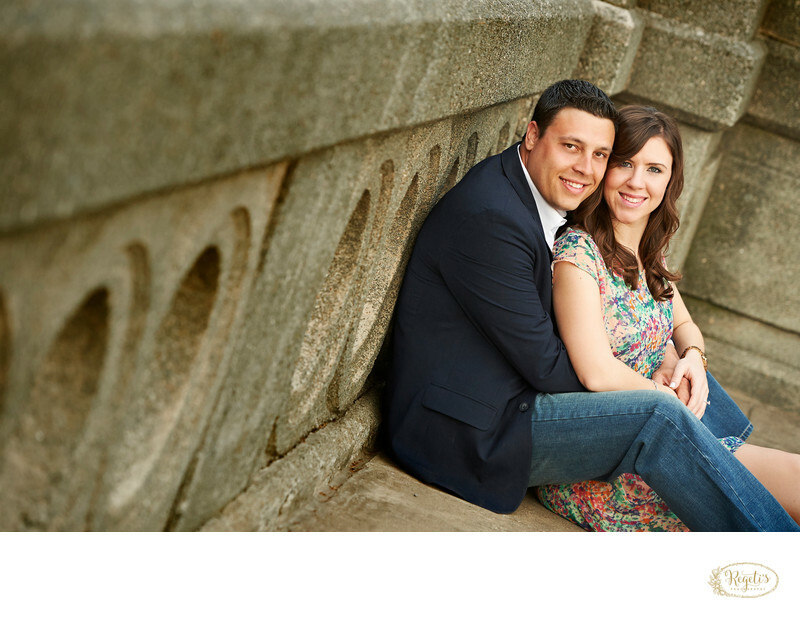 Amanda and Danilo have chosen the beautiful Park Hyatt in Washington DC where they will be celebrating their wedding day in March of 2014. As far away as it may seem at the moment – it will surely hit everyone before they know it – next thing we know the date will be right around the corner. With their engagement session behind them they will now have some great images to share with friends and family for their save-the-dates and perhaps even a planning site as they begin to gather and put together all the details of their wonderful affair to come. The best part is that Amanda works part-time for Hitched in Georgetown, so all this planning and wedding business is all the norm to her! We are eager and excited to spend time with the two of you again in the New Year – as it is for sure to be a blast. We now not only have insanely great brides for 2013, but after booking Amanda and Danilo, it reassures us that 2014 will be just the same, if not that much more better! Location: Tidal Basin, Washington DC. Keywords: Cherry Blossoms (9), Engagement Session (36).